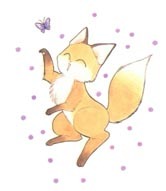 Tanpopo's lovable pet fox. He enjoys taking pictures and cheering up Tanpopo when she's down. He is named after the Poplar tree.